Therapists get a lot of questions from friends, family, and people we have just met at holiday parties, weddings, kids’ sporting events, etc… I’m going to be honest, I’ve considered making up a new profession just to avoid awkward conversations with new acquaintances. You may be curious as to what issue gets asked about most often, if you aren’t curious, read this anyways… it’s good stuff. The thing I hear most often is parents asking me how to handle their children’s worries. To be fair, they usually aren’t talking about normal childhood worries, they are talking about big worries, worrying about everything, or irrational worries. 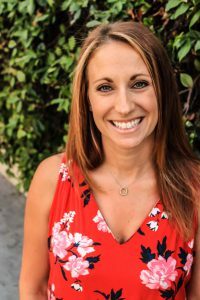 Now, I am as big of a proponent for therapy as you are going to find, but there are plenty of things that can be addressed at home prior to seeking help through a professional. Sometimes, the issue with worry is that parents just need a bit of help talking their kids through it. That’s where this resource comes in. It’s playful and fun. 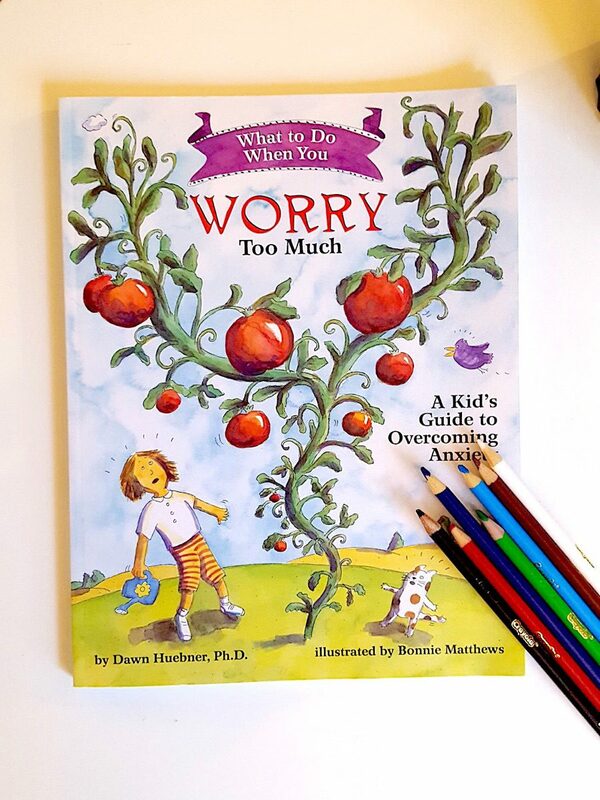 It lightens the mood of what can be a heavy topic by providing a cute metaphor (anxiety is like a tomato plant that can grow out of control the more we feed it) and giving kids opportunities to draw pictures and come up with funny phrases. It gives us a common language to address the issue. Us therapists formally use the term anxiety, some kids use worry, some use nervous, others have their own unique way to describe it. By doing the workbook together, we have a common language from the book that we develop together as we work through it. We can use this language when the kiddos are struggling in session and at home. It’s accessible. It never goes above your head or gets overly clinical. It can be used by therapists, but it can easily be used by parents and family members as well. It has great interventions that are easily explained. The child will come out with a bunch of skills to use. And if mom and dad are paying attention, they may pick up a little something too! One last reason this book is great. Going through it will not only help your child understand their worry, it will help you understand their worry. Addressing the issue together can help your child feel understood and create the feeling that you are all in this together. That is incredibly healing! Now that we’ve gotten past that personal stuff in the first blog, let’s get down to the good stuff… the resources. When I was planning there may have been (read: there was) possibly (definitely) a little panic about where to start. The first few seconds of panic went something like… “This is a big decision; this will set the tone for the blog; where could I possibly start?” Enter seven thousand ideas. But the following 3 seconds went like this… deep breath… “Let me start where I started”. When I began grad school every professor was so different. Different in their personalities, teaching approach, theoretical approach, names, addresses, social security numbers… you get it… but they all agreed on a few things. 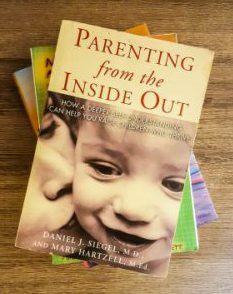 One of them being that we needed to read Parenting from the Inside Out: How a Deeper Self-Understanding Can Help You Raise Children Who Thrive by Daniel Siegel and Mary Hartzell, like, immediately. What a great place for me to start my blogging journey, right where I began my therapy journey. Before I really dive in, let me tell you one thing. I do not love when I am reading blogs, say a food blog, and I have to scroll down through cutesy anecdotes and tales of triumph and tragedy until my fingers bleed before I find even a hint of an ingredient list, or for heaven’s sake, the recipe itself. I’m not going to do that to you folks, with the exception of this useless paragraph, which I hope you’ll forgive me for. I want to give you useful things in a format that is quick and easy to read so you can focus on using what I’m saying, not reading until you’re holding your eyes open with toothpicks. So, back to the point. This book was groundbreaking! This was one of the first parenting books out there that asked parents to look into themselves to be a better parent! I just listened to Dr. Siegel give a talk where he mentioned that something like 25 publishers turned this book down. They all said that parents want action points, things that they could do to work on their kids. No parent would buy a book that asked them to work on themselves first. Thank goodness for the 26th publisher! children. Rather, it is how you make sense of them. The book asks parents to take a look at their own experiences and form a coherent narrative in order to assist their children in forming coherent narratives of their own experiences. The book relies heavily on neuroscience to explain how to form this narrative and why it is so impactful in how we engage with our children. Neuroscience can be a scary word, even for someone who studied it (please don’t quiz me, it’s been a really long time). The great news is that Dr. Siegel is a master at making it accessible. The book does a wonderful job of explaining our complex brain in easy to understand ways, and then linking that knowledge to the parenting portion of the book. The book explores so much, but my main takeaway (which may not be yours) was to choose how I react to my children, rather than to just react. The emotions that come up initially in reaction to something are informed by our past experiences, and we have the choice to react upon those emotions in the moment, or to be mindful of the role those emotions play in our narrative and make a different choice. It is truly liberating to know that that choice is out there for all of us. And if your kids are like my kids, we get the chance to make that choice many times a day! Dr. Siegel has written many wonderful books which demonstrate how being mindful, combined with some knowledge of how our brains work, can lead to much more compassionate and in-tune parenting. Parenting that is really meant for the child. And this brings me to my last point. I value this book because it asks the parents to do the work first. So many parents drop their kids off at therapy without even checking in on how they are doing or giving the therapist an update. And often when family sessions are held, there is a lot of resistance towards any work on the parents’ part. Listen, I am a busy, tired, and occasionally (read: often) overwhelmed parent myself. There is no judgement here. 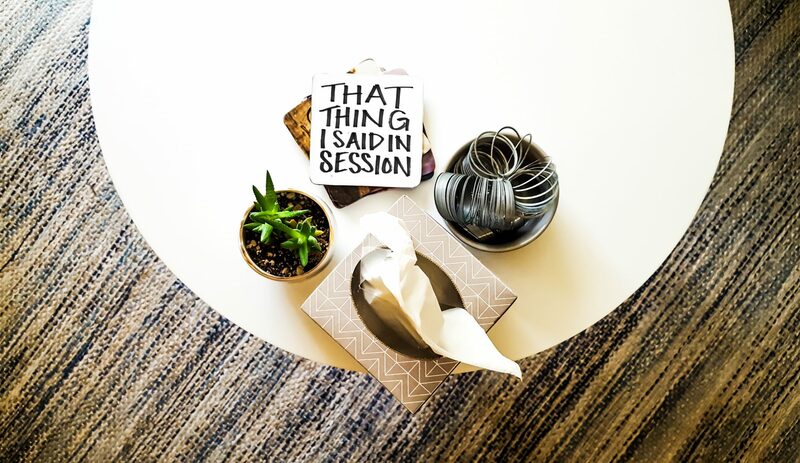 But, what a great model to give your child in therapy… to say, I’m willing to do the work too, we’re in this together. If we are asking our children to look into themselves through therapy, it is amazing modeling to take the first step yourself. If you’d like to read my disclosures click here.